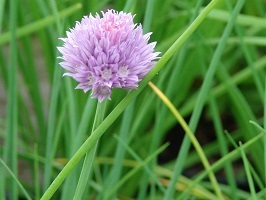 Although herbs are, of course, very useful for cooking, they are also very pretty in the garden. 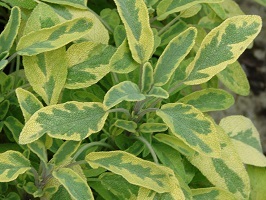 With such a variety of leaf shapes, shades and textures, not to mention the flowers and the aromas, they can create a wonderful display in borders or containers. Most of our herbs are sold in 9cm size pots, priced at £1.99, with some types also available in larger sizes, especially later in the season. 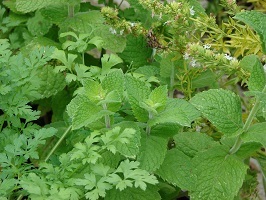 Our range can include several types of mint (Mentha), including peppermint, spearmint, applemint and pineapple mint, as well as angelica, basil, chives, coriander, dill, fennel, hyssop, lemon balm, lemon verbena, marjoram (Origanum), Oregano, parsley, rosemary, tarragon, several varieties of thyme, and different colours of sage. 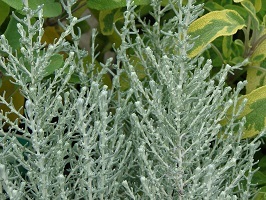 Herbs prefer to grow in a light, free-draining soil, and are well suited to growing in large tubs, containers or raised beds. 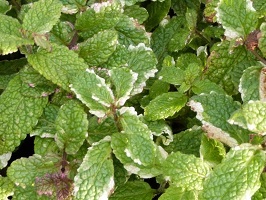 The mints are fast-growing plants and are best grown in tubs on their own as they can quickly overwhelm daintier neighbours. 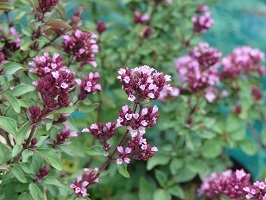 For best flavour, grow in full sun and pick young leaves in the early morning. 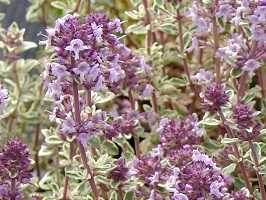 Most herbs will benefit from a liquid feed once or twice during the growing season. 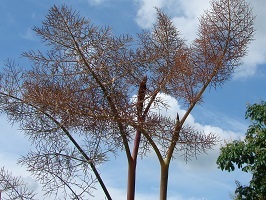 Bear in mind that after a few years many herbs will become woody and are best replaced.